SAN BERNARDINO MOTORCYCLE ACCIDENT LAWYER REPORT: The San Bernardino motorcycle accident attorneys at Riderz Law have learned of a motorcycle accident that occurred in Pamona yesterday in the late night/early morning. 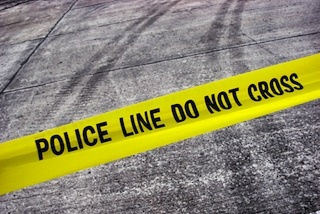 According to California Highway Patrol, last Monday night at approximately 1 a.m., a motorcycle rider was traveling eastbound on the San Bernardino Freeway (10) in Pamona near Towne Avenue when he crashed and was thrown from his bike and into the street. The rider was found lying in the street, and was subsequently transported to a local hospital. The extent of the motorcycle accident victim’s injuries are not known at this time. Our thoughts and prayers are with this fallen rider for a speedy recovery. Authorities are still investigating the accident, and have not yet stated the cause of the accident or whether another vehicle was involved. We will update this motorcycle accident report when more details are known. If you or a loved one are involved in a motorcycle accident in the San Bernardino area or anywhere throughout California, we are here to help, but we sincerely hope you never need us. As always, we remind our clients and readers to ride safely and responsibly, and to never drink and ride.